When I finally got to ride the Matterhorn in June, it was a TGIF dream come true. I still remember when they visited Disneyland on my favorite shows as a kid and now that I know it was all a marketing ploy it doesn't make it lose its magic one bit. 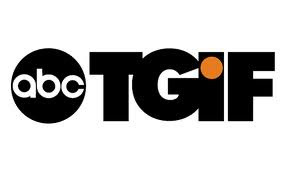 If you grew up in the 90s, this needs no introduction but for everyone who may not recall, ABC’s friday night lineup used to be called TGIF and featured a 2 hour block of some fun albeit corny sitcoms! Maybe “everything I need to know” is an embellishment, but the sitcoms of my childhood sure did teach us some valuable life lessons. 1. When in doubt, hug it out (Full House) Famous for its hug music at the end of each episode signifying it was time to apologize, reach out, or let it go, a hug solved almost any problem that hit the San Francisco home of the Tanners. I like to think I can solve 90% of my problems today with a hug. 2. Hold on to good friends (Boy Meets World) Even though Corey (Cornelius) Matthews and Shawn Hunter seemed completely different from the start, and developed into completely different people throughout high school and college, they always seemed to work things out for their friendship. They were true friends and if Boy Meets World taught us anything its to hold on to true friends because lots of other people will come and go in your life! 3. Everyone should have a Dance of Joy (Perfect Strangers) When Balki Bartokomous is thrust into Larry Appleton‘s life he was a single guy out on his own for the first time but in the end he becomes half of one of my favorite buddy sitcoms to hit the airwaves! Balki quickly does and shares his crazy little Dance of Joy when Larry lets him stay with him… and thus the Dance of Joy entered my life! So bask in a Dance of Joy next time you open your mailbox and see Disney mail or you see a hidden Mickey in the clouds! 4. There is no definition for family (Step by Step) The Brady Bunch of the 90s featured two families coming together after a second marriage for both parents. Cousin Cody becomes a regular living out of a van in the driveway. There is no specific definition for what makes up your family and even when there is conflict your family will be there in the end, no matter how you personally define it! 5. Muppets can do no wrong (Dinosaurs) I’m not sure how to elaborate. This show was hilarious (Not the mama!!) and it was made by Jim Henson Television which in my mind just continues to add up to the well known fact that Muppets are the best. Case closed. 6. Always be yourself (Family Matters) Steve Urkel finds the girl of his dreams in the girl next door and after 9 years of being in love with her and doing everything he can think of to win her over (including creating a transformation chamber to change himself in to the cool man of her dreams “Stefan Urkelle”) in the end Laura loves Steve and it is him she agrees to marry! …Gonna have some fun, show ya how it’s done, TGIF! Loved all of these and looked forward to TGIF every week! !